I have purchased a DL360 G7 HP 1u rack mount server. It has 8 SAS/SATA slots and 2 PCIe (1-PCIe2 x8 (8, 4, 2, 1) and 1 - PCIe2 x16 (16, 8, 4, 2, 1))slots. The purpose of this server is to use as a test bed for SSD use in our environment. This server will host two VMs each VM will run 1 instance of an Oracle 11g R2 DB used for development. Each DB requires about 400 GB of space. Should this experiment with SSDs work, and we gain experience with server based SSDs, enterprise class equipment will be budgeted and purchased in the next year for use in the production environment. My thoughts were to purchase 8 - 480 GB MLC consumer class SATA SSDs and two 512GB NVMe/M.2 drives. My usage of this configuration is; The NVMe/M.2 drives would be used for DB software, temp tablespaces and DB redo logs, the SATA drives would be used for OS and DB tablespace data. The purpose of overkill on the size of the drives is, since these are consumer class drives I want to over provision for the sake of data loss prevention. Are there any NVMe or PCIe cards with M.2 daughter boards that will work in the PCIe2 slots in this server? Will those NVMe/M.2 cards yield enough performance benefit over the SATA drives to make it worthwhile? What RAID, if any, should be used for the SATA drives? I've read a bit about the pros/cons (mainly) of using RAID. RAID 1 may not protect data because the wear on the drives is even. Am I better off trying to use JBOD and manually distribute the data? Should I focus only on MLC or should I consider TLC? MLC seems to have reliability (more write wear) on its side. Last but not least what specific product recommendations for low cost drives do you have? and start with an LSI version that has 12 GHz ports. This approach will maximize flexibility, and options. into the production machine you build later. we only buy 10-year warranties now e.g. compute (price / (warranty years)). it does not have a general-purpose RAID controller. like Intel's DMI 3.0 link. SAS-capable 12G RAID controller, for the time being. 4+ U.2 ports with full support for all modern RAID modes. MRFS Thanks for taking the time to reply. My budget for the storage components of this system is $1,500-$1,700. I expect to pay about $900 for the consumer grade SATA SSDs leaving $600-$800 for the NVMe/M.2 components. Since I was going to use the NVMe/M.2 drives as basically temporary storage, (roll back segments and temporary table spaces, and as I think about it probably pagefiles) I do not need RAID. It is my understanding that NVMe/M.2 are faster than the SATA drives. I want to work with them for that reason. 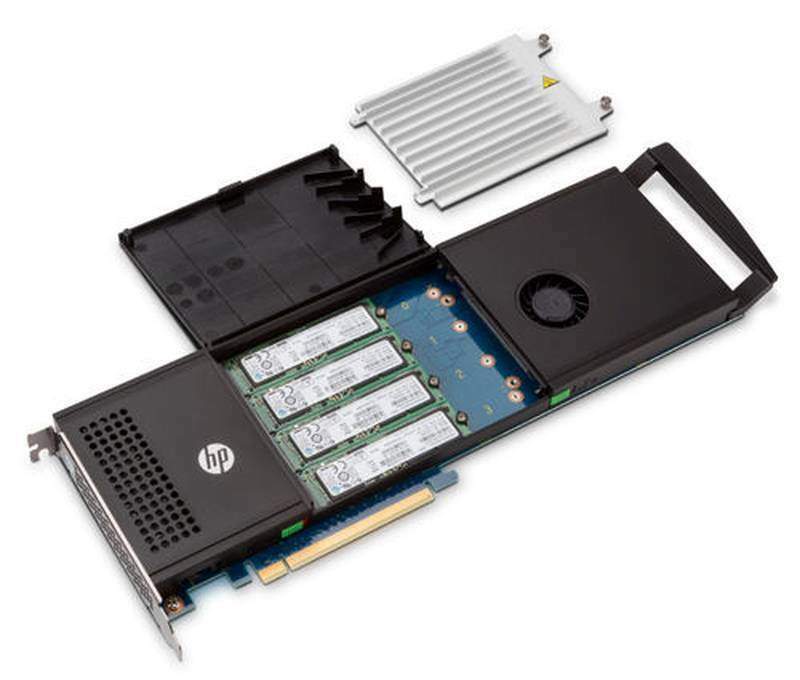 I do not, for this exercise, intend to use a different RAID controller than that supplied by HP in the DL360, as this is a low cost test bed, to gain experience with the technology. 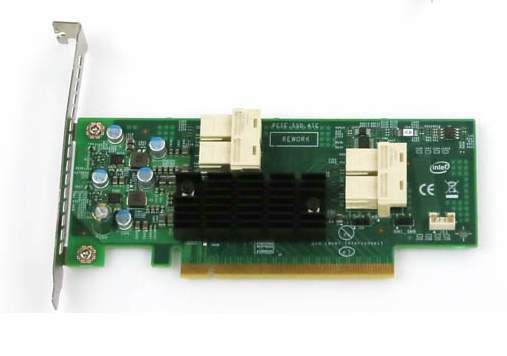 What I think would be best for this exercise is a card that will work in the PCIe2 slot of this server with two M.2 connectors. 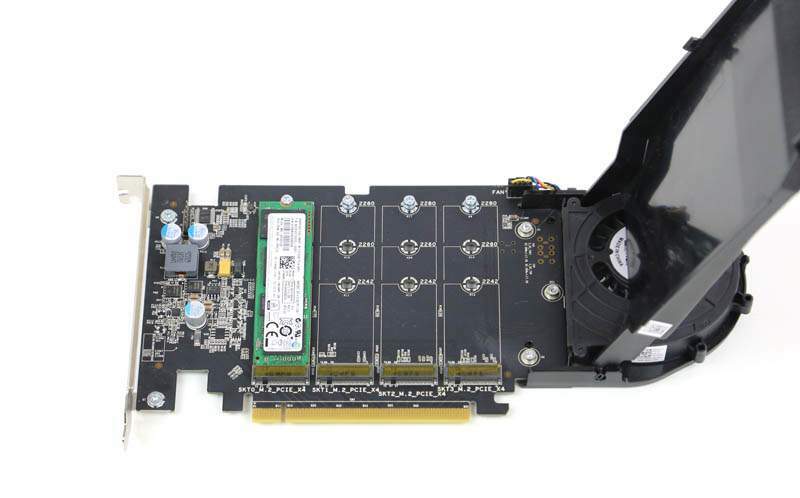 Are there any 2 port M.2 to PCIe2 cards available? You might want to instead use that money towards a single finished solution like the Intel SSD 750 which will offer NVMe speeds but be more consumer/prosumer targeted. Going down the path of a cobbled together card with multiple m.2 SSDs might get you into a bad spot as problems shake out.